Pet Insurance Plan vs. Pet Savings Account – Which Is Better For Your Dog’s Health And Your Pocketbook? Pet health insurance is supposed to be a good thing. Right? After all, having pet insurance means your dog’s medical bills will be covered in the event of an emergency. Or will they? Unfortunately (as is the case with human health insurance), many insurance companies are in it to make money first, and to help their clients second. The idea is to pay monthly for pet health insurance to cover expenses in the event that your dog has a medical emergency or needs to be treated for a high-cost ailment — such as cancer. Just to throw in a quick statistic, there are about 6 million dogs diagnosed with cancer in the United States alone each year. So, is pet health insurance a good idea or not? That answer can be difficult for pet owners to find. It really depends on much more than just whether you actually need the insurance or not. The bottom line is: you need either a pet savings account or pet insurance. Which one is completely up to you. #1 – Some pet health insurance companies will refuse to cover hereditary conditions which are associated with certain breeds. Meaning, if you have a dog of a certain breed that is prone to a particular health condition because of its breed, then your pet health insurance company may refuse to pay claims associated with that condition. #2 – Most pet insurance companies will not cover expenses associated with pre-existing conditions. So, if your dog is diagnosed with cancer, a knee injury, or some other possibly terminal ailment before you purchase the dog health insurance, chances are the treatment will not be covered. Instead, it will have to come out of your own pocket. #4 – If you have a healthy pet that doesn’t need to be seen by a vet (other than for routine check-ups), it may not be worth the high monthly premiums to maintain pet health insurance. 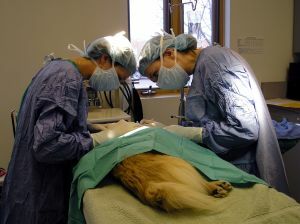 The best way to determine this for sure is to understand what costs are associated with your dog’s vet care ahead of time. #5 – One thing that many pet owners don’t realize is that even with pet insurance, you may still have to have the money up front for any expenses incurred while caring for your dog. The reason is some veterinarians don’t want to deal with insurance companies and prefer to have payment up front instead of letting an insurance company be the go-between. 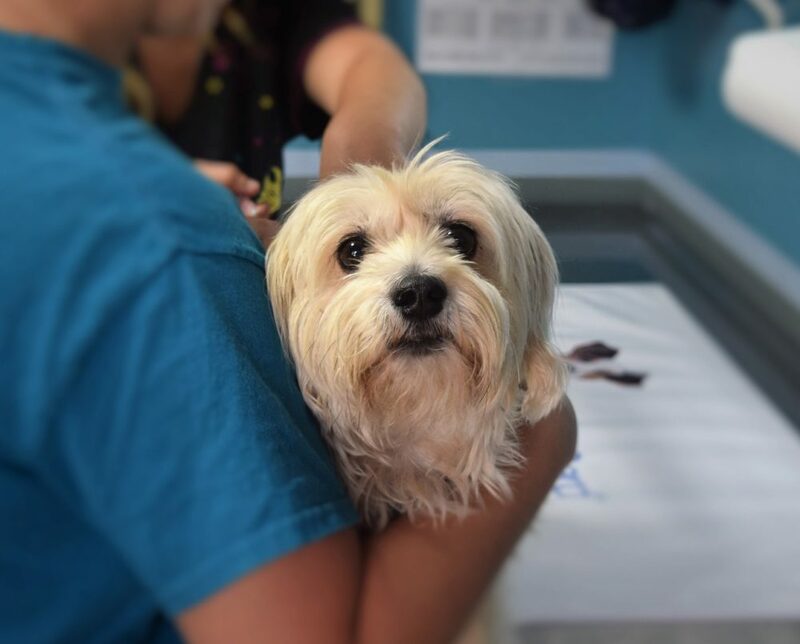 #6 – If the veterinarian knows that you have pet health insurance, they may schedule a greater number of more costly procedures — because they know that you can afford it and they will make more money themselves as a result. #7 – Some pet insurance companies refuse to cover pets over a certain age. #8 – There is sometimes a waiting period with pet health insurance companies right after you start the policy for your pet. That means, if your dog becomes seriously ill or hurt and needs a lot of treatment during the waiting period, some pet insurance companies will not cover those expenses. For the most part, pet health insurance companies are marketing to the rich who have the money to pay the high premiums, rather than the pet owner who doesn’t want to be forced to euthanize a beloved pet because they cannot pay for the treatment to save it. By the way, while you don’t need to save your money in a specific type of account in order to call it a pet savings account, there are a number of banks that offer “official” pet savings accounts for their customers. Either way, saving money for your dog’s future medical expenses makes good financial sense. #1 – Pet health insurance does offset some of the high costs when your dog becomes seriously ill — in most cases. While an insurance company that doesn’t pay for more than 50% of a bill seems like it might be a ripoff, when you don’t have much money to spend on vet bills to begin with, this can still be a tremendous help. #2 – Some pet insurance companies offer a discount if you enroll multiple pets. This can help to offset some of the high costs of having pet health insurance. #3 – There are more pet insurance companies now than there were a few years ago. This field is becoming very competitive which is going to help lower the costs somewhat for pet health insurance premiums — since the pet health insurance companies have to compete for your business. This should make it easier and more affordable to buy pet insurance in the near future. #4 – Having pet health insurance will give you some peace of mind if your dog does become seriously ill. At the very least, your four-legged friend will receive treatment — and you won’t have to consider euthanization simply because you cannot afford the treatment. If you’re going to buy pet insurance, your best bet is to buy it early when your dog is still a puppy, before any problems develop (which could be seen as “pre-existing conditions”) and look for a simple accidents-only policy with good reimbursement limits. Personally, in my mind it makes more sense to have a savings account that you pay into monthly for your pet — instead of purchasing pet insurance. There are just so many issues to deal with when it comes to choosing the right pet health insurance company and making sure that you get reimbursed for every health issue you submit. I figure that if I have a savings account and just keep adding money to it, then it’s more likely that I will be able to get my pet the help needed and afford any costly procedures than if I put money down what could be an endless well with relatively few tangible benefits. Must read: Consumer Reports – Is Pet Insurance Worth The Cost? Here’s more about how pet health insurance works and what you should look for.